Improving the energy efficiency of one's home has become a hot topic in recent years. There has been a lot of talk about energy efficient appliances such as washers, dryers, and air conditioning systems. However, the importance of having the right windows has generally been overlooked. Energy efficient windows can cut heating and cooling bills significantly. Patriot Windows go together perfectly with Innergy Rigid Thermal Reinforcements. Innergy reinforcements are made out of 20% biodegradable material, which sets them apart from any similar product on the market. They also offer a combination of strong reinforcement and effective insulation. If you need someone to install your Patriot Windows and Innergy Rigid Thermal Reinforcements, check out Advanced Window Products. Patriot Windows are rare among energy efficient windows in that they are versatile and ergonomic, in addition to being well-insulated. Their range of movement makes them easy to maintain, as well as making it easy to crack a window and let just the right amount of fresh air into your home. No matter how you have them installed, Patriot Windows feature strong, easy to clean, and energy efficient vinyl material. Double Slide or Double Hung. Both windows can be removed. Sliding half screen and full screen are available, and can easily be removed. Beveled outer frame offers upgraded appearance. Enhanced color with multiple options; white and almond. Every window has high performance glass, coated with LoE-366. Patents include: drain channel, slide block, safety clip and structural clip. Air tight with high thermal performance. Advanced Window Products is the region's #1 Window replacement company. 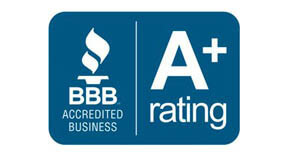 We offer you great customer service and quality products at a fair price, as evidenced by our A rating with the Better Business Bureau. Advanced Window Products provides vinyl siding, replacement windows and replacement doors for homeowners across Utah, as well as up into Idaho and Wyoming. 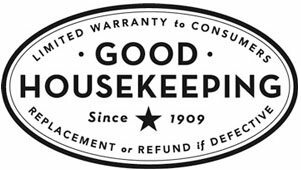 Request a free quote here, or call us at 801-505-9622. Our window installation professionals are happy to answer any questions you might have.